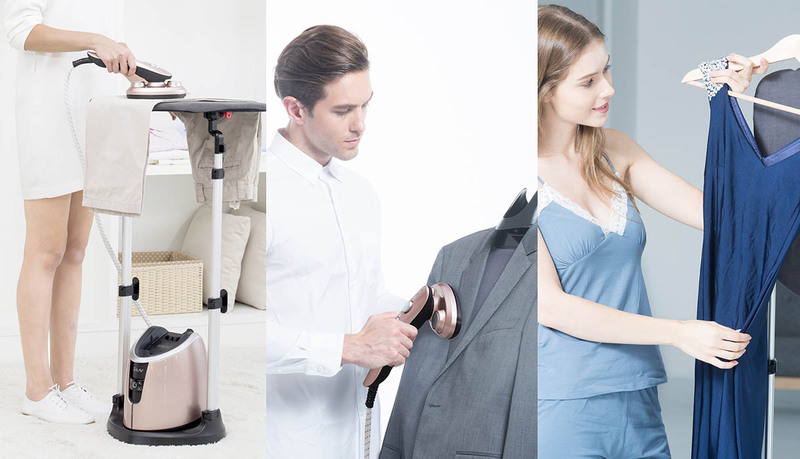 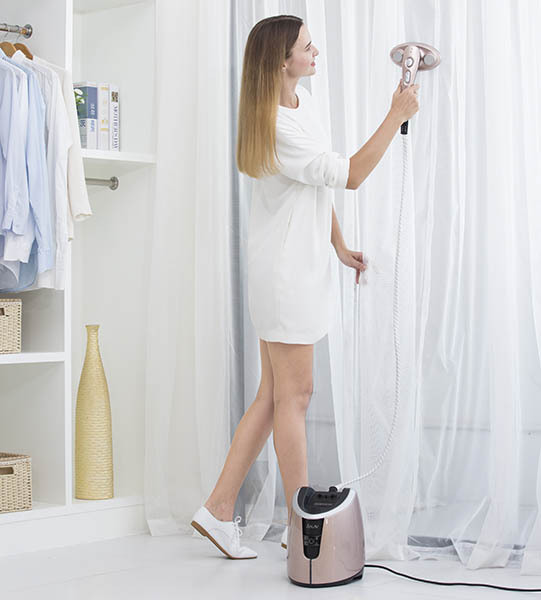 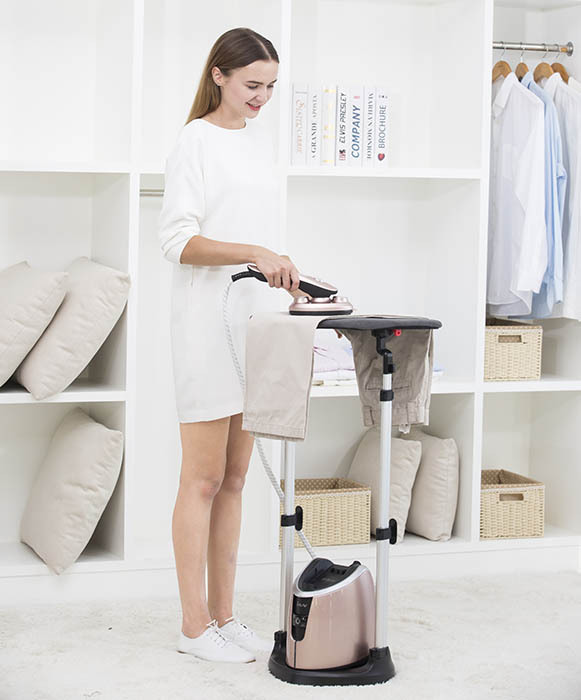 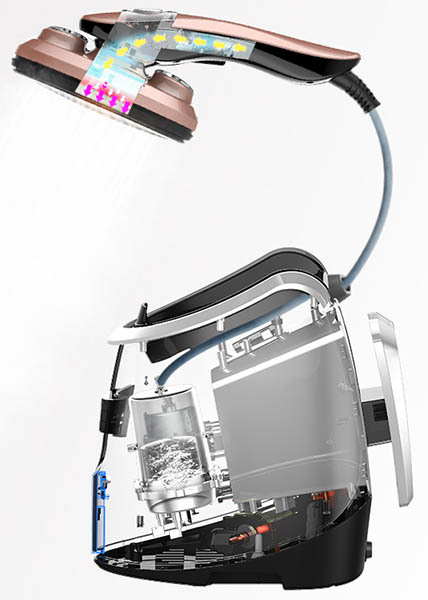 The Ultimate 1800 Steam System combines the pressing power of an iron with the gentle but super-effectiveness of a garment steamer, and the straightening power of an ironing board. 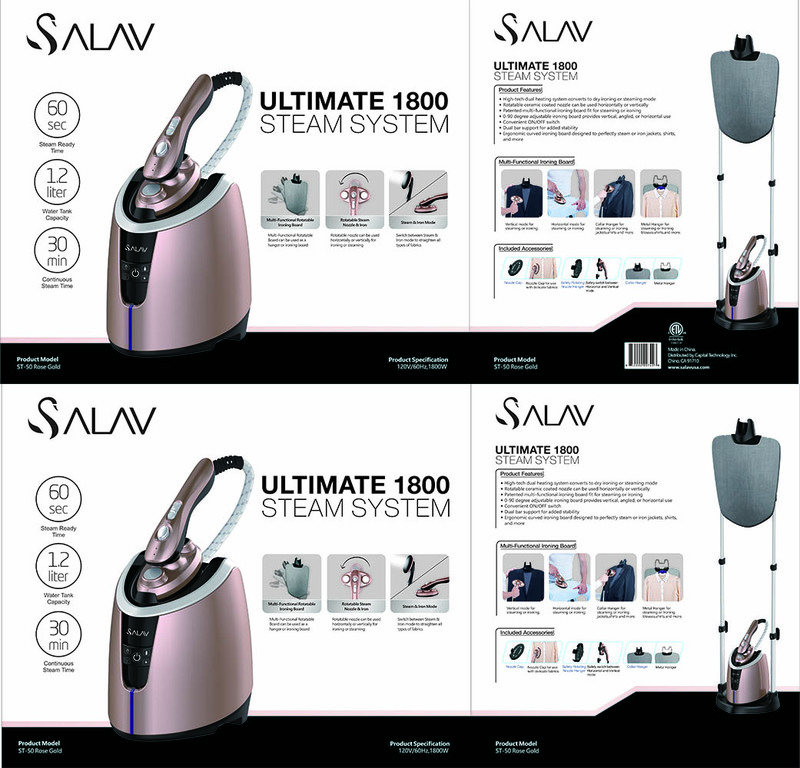 Featuring a SALAV patented dual heating system, this revolutionary 1800 watt Steam System switches from ironing mode to steaming mode with a simple twist of the nozzle. 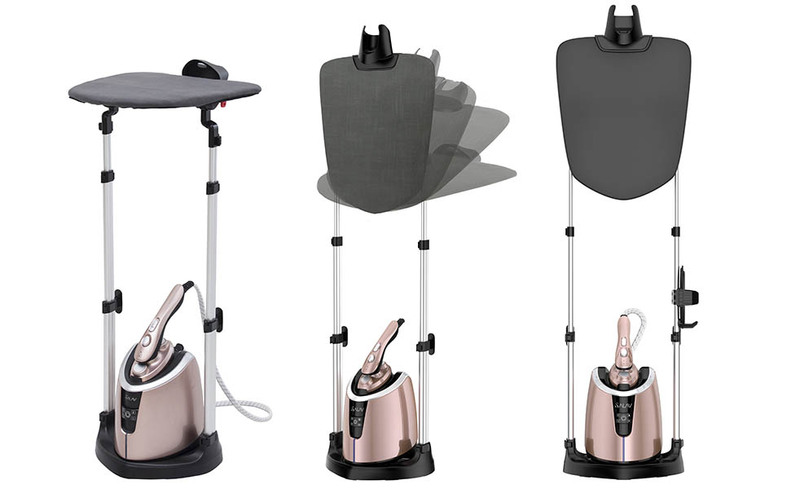 This is the hottest steamer yet and has a ceramic coated nozzle that turns 90 degrees! 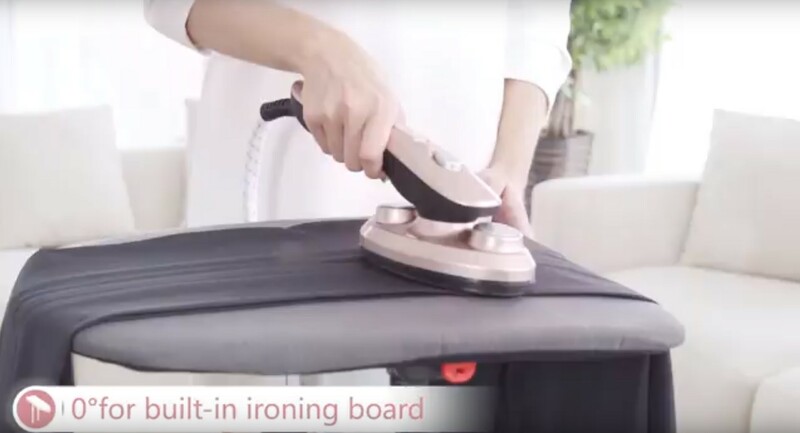 Nothing beats the convenience of an iron and steamer combination. 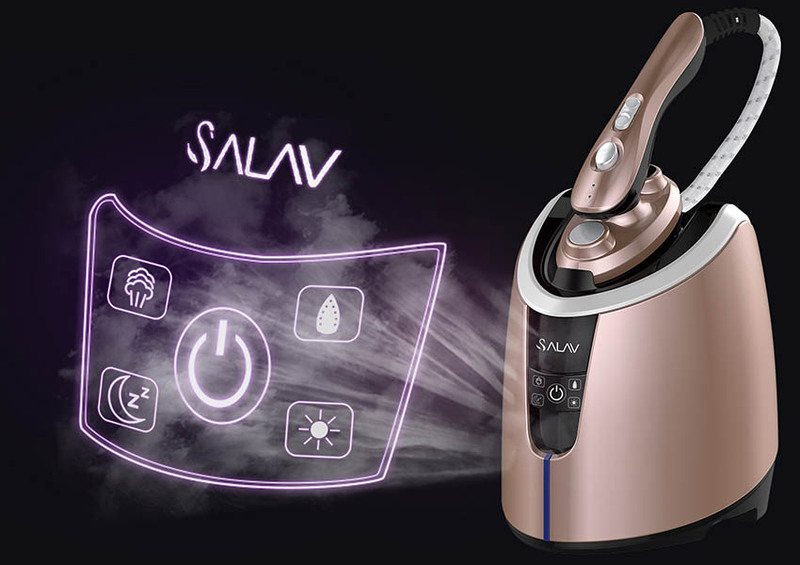 SALAV patented dual heating system combines the steam power of a boiler and the pressing power of a heating system to reach temperatures over 300 degrees! 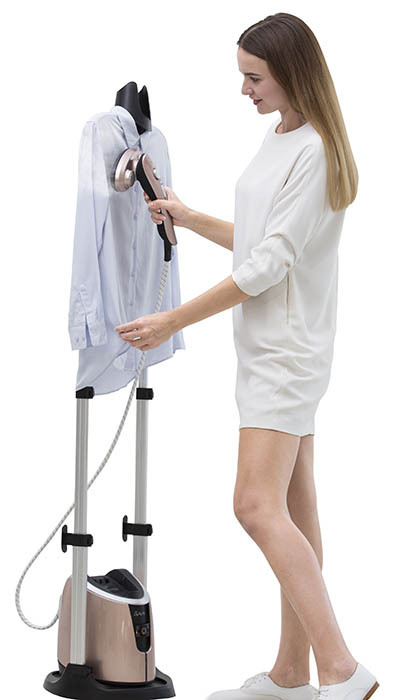 Portable and lightweight – great to use on drapes, upholstery, all around the house! 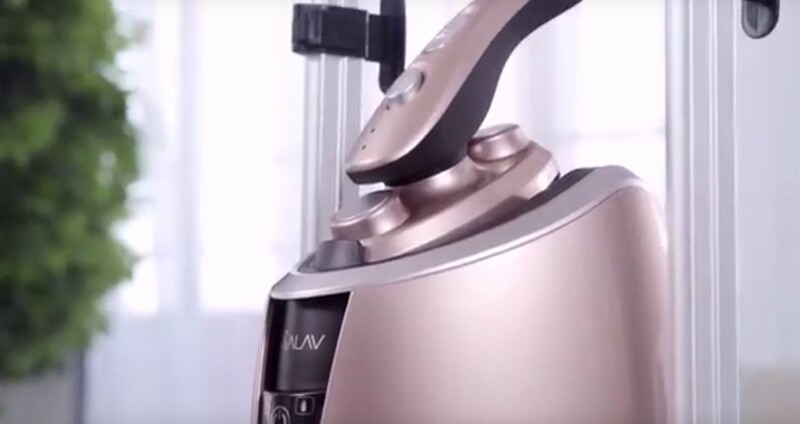 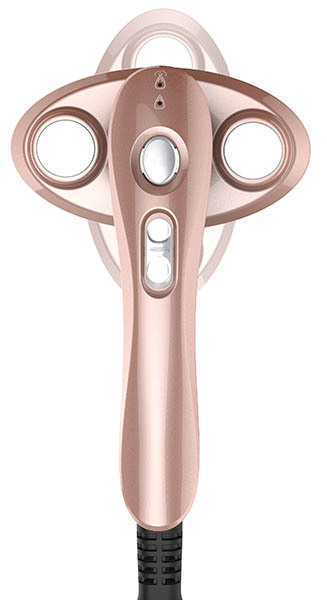 90 degree swivel nozzle to steam or iron, switches effortlessly.